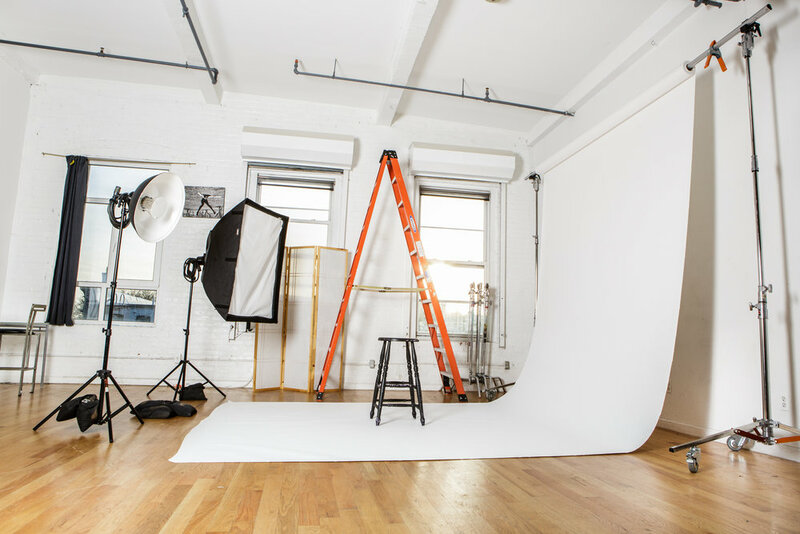 Studio A is a traditional photo loft space. Beautiful clear white walls make for fantastic backdrops, or pull from our large selection of seamless. 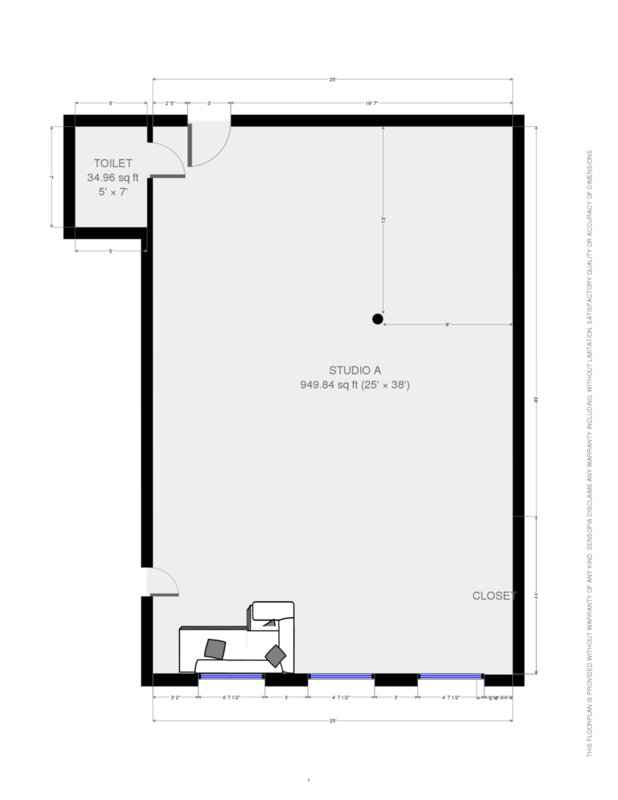 The studio is approximately 1000 sq ft and has dimensions of 38′ x 26′ with 13′ ceilings. making this an excellent space for still photography, and small film shoots. South-facing windows provide ample natural lighting; windows can be effectively blacked out for total light control. Included in the rental cost is a full lighting kit. For stills, we have a Profoto kits and various modifiers. Rolling stands/crossbeam for hanging seamless paper background are also included in the rental. Studio A is directly adjacent to Studio B, and has a door that connects the studios to create a 2000+ Sq Foot facility, ideal for large-scale video and photo productions.